Another illustration that was banned at the last minute. This time for Yedioth Acharonot's Holocaust-Day issue. It was supposed to be a personal segment about what I have learned from the Holocaust as a person...or how it reflects in my everyday life. 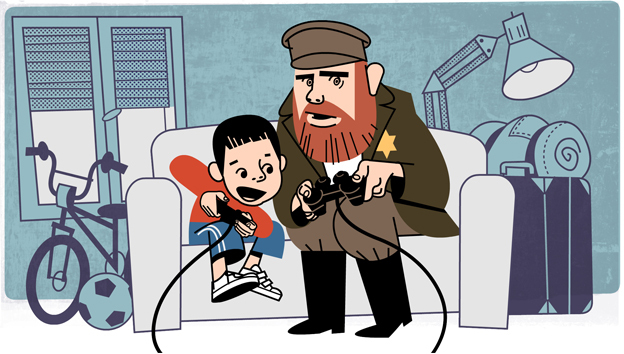 I guess the scene where my son & myself (as a holocaust refugee) are playing PS2, or my overall style of things were still a bit too "comic" for the public. ...and this was the first draft of the concept. I love the "first draft" actually. Perfect.